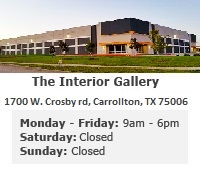 Please enter your username and password below to login to your account at TheInteriorGallery.com. If you want us to remember your login information each time you return, simply make sure the 'Remember My Login Details' box is checked before logging in. Please note that this is not advisable if you are sharing your computer with anyone else since anyone will be able to login to your account if they have access to your computer.